While vision and hearing loss – especially both together – can be viewed as one of the unkindest cuts of all in life, the elderly can attempt to mitigate the effects of aging on their hearing and sight by accepting the kindness of caregivers and, more importantly, being kinder to themselves. In other words, there are early warning signs to look for, preventive measures to take, and even things that can be done to improve one’s sight and hearing – whether you’re doing those things on your own, or with the assistance of a loved one. 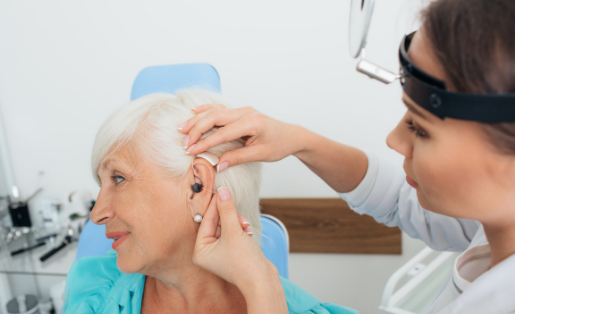 Hearing loss – mostly untreated or undertreated – afflicts nearly two-thirds of adults over 70. Both vision and hearing impairment occur in one person in nine age 80 and older. And with recent studies revealing a cause-and-effect relationship between uncorrected deficits in vision and hearing and accelerated cognitive decline, it has become more important than ever to take preventive measures to protect and preserve proper eye and ear functioning. *Eat a balanced diet that includes dark, leafy greens and fish high in omega-3 fatty acids. *Wear sunglasses and a brimmed hat outdoors. Vision and hearing both change over time, so it’s important to not only practice the preventive measures just mentioned but also to notice the warning signs of vision and hearing deterioration. As a caregiver, if you notice any of these common warning signs (below) in your loved one, schedule an appointment on their behalf with a qualified vision or hearing professional (or better yet, schedule regular yearly appointments with an ophthalmologist and audiologist).